Mollie Taylor and 30 other young adults will run form San Francisco to Baltimore this summer. The participants are currently raising money for the Ulman Cancer Fund for Young Adults. Cherry Hill native Mollie Taylor is two months from the longest run of her life. The run will stretch thousands of miles, beginning in San Francisco and traveling across the country to Baltimore, all to raise money for young adults who have been diagnosed with cancer. This summer, Taylor is participating in the Ulman Cancer Fund’s 4K for Cancer run. 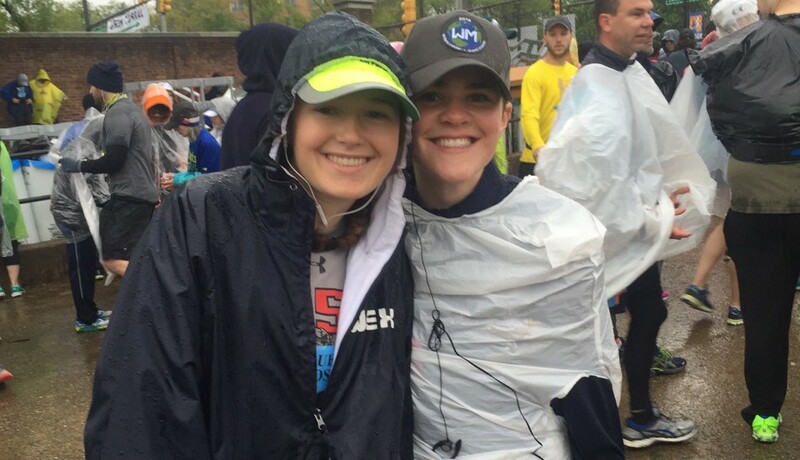 Prior to the run, Taylor and other participants will be raising money for the Ulman Cancer Fund for Young Adults, a nonprofit organization dedicated to supporting young adults affected by cancer. “I feel like a lot of focus is on younger and older patients, but cancer can impact anyone of any age,” Taylor said. Taylor, a junior at La Salle University, spent her previous two summers working multiple jobs and decided she wanted to try something new this year. When she came across the run, she was immediately drawn in. “I wanted to do something different this summer, and this is kind of how I found it,” Taylor said. To participate, she had to fill out an application and go through an interview with a staff member of the Ulman Cancer Fund. After receiving approval to participate earlier this year, Taylor began training. Taylor has enjoyed running for most of her life. A member of the Cherry Hill High School East Class of 2014, Taylor was on the girls track and field team. She has continued to run in college and will be competing in the Broad Street Run in May. Taylor is one of about 30 people who were selected to take part in the fund’s San Francisco to Baltimore run. Team members are asked to run an average of 10 to 12 miles per day in a relay style format. Support vehicles follow the runners along the route, drop runners off at designated relay points and give participants an opportunity to rest following their portion of the run. Various organizations, including churches, schools and YMCAs, provide accommodations along the route. The run will take seven weeks to complete. Participants will begin on June 18 in San Francisco and will arrive in Baltimore, the city where the Ulman Cancer Fund is based, on Aug. 5. To prepare, Taylor is running three to four days a week. When Taylor is at school, she enjoys running along Kelly Drive in Philadelphia. When Taylor comes back home to Cherry Hill, she runs at Cooper River Park. In addition to running, Taylor also swims and does yoga a few times a week. After injuring her hamstring last fall, Taylor said she learned the value of exercising all the muscles in her body. “The one good thing about the injury was it definitely taught me to cross train more,” she said. The lead-up to the run is an extremely busy time for Taylor. In addition to her school obligations and training, Taylor has to raise at least $4,500 prior to June. So far, Taylor is a little more than halfway to the goal, raising $2,390 as of April 13. Taylor has gotten a number of donations from speaking with family, friends and teachers. “I received a lot of support so far, which is really nice,” Taylor said. To boost her total, Taylor has conducted bake sales at school and is reaching out to area businesses for help. The most exciting part of this summer’s run for Taylor is the travel. Taylor has done a lot of traveling abroad at La Salle, visiting India, Israel and Italy for classes. However, Taylor hasn’t done a lot of traveling in the United States. The 4K run will easily be the most she has seen of the country and will allow her to visit a number of places she’s always wanted to see. There is much more to the trip than running and sightseeing. There are a number of rest days throughout the schedule where runners will visit cancer centers and provide support to patients and their families. “I like the aspect that there’s a lot of support for the families,” she said. To donate to Taylor’s fundraising effort, visit https://ulman.z2systems.com/mollie-taylor. Anyone wishing to mail a check can send it to 1215 E Fort Ave-Suite 104 Baltimore, MD 21230. Write Mollie Taylor-Team Baltimore in the memo section of the check. For more information on the Ulman Cancer Fund for Young Adults, visit www.ulmanfund.org.